PC/104 30W Filtered Avionics Power Supply - RTD Embedded Technologies, Inc. The RTD APWR104HR-30W filtered avionics embedded power supply module provides an elegant solution for PC/104 systems requiring a rugged MIL type power supply for PC/104 applications. The wide input voltage range of 16 - 50 VDC will suit applications ranging from communications to aviation. 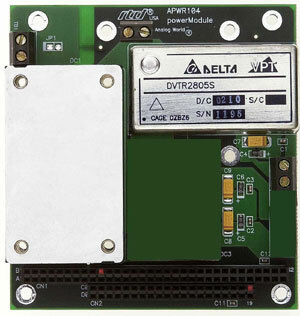 The APWR104HR-30W has a wide operating temperature range of -40 to +85 C. +5 VDC at 6 A from the module is delivered to the PC/104 bus as well as to the card edge terminal blocks. 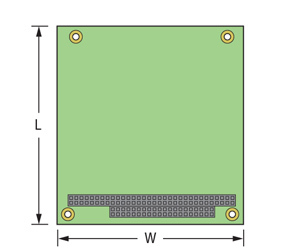 4 amps of the filtered DC input current is provided on terminal blocks for user applications.